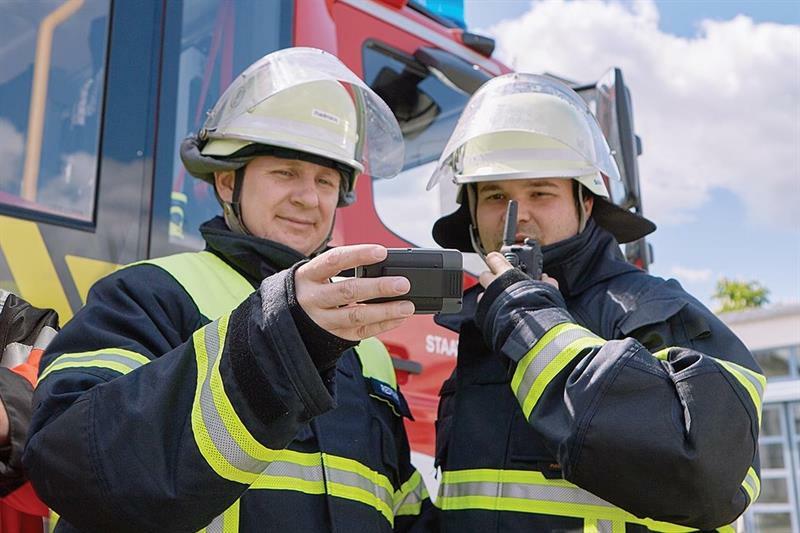 Airbus has delivered more than 50,000 P8GR TETRA pagers to the German state of Hesse’s fire brigades, emergency services and civil protection units. The delivery began back in the autumn of 2016, but is now complete and the occasion was celebrated in a ceremony in which the 50,000 pager was handed over to the city of Bruchköbel’s fire department. In 2012, Airbus won the public tender and developed the pager to enable rapid alerting of public safety forces. Airbus also supplies the delivery system and programming for all equipment and accessories. The P8GR allows two-way data transmission. In the event of a fire or a serious accident, control centres can alert emergency services securely and reliably within a few seconds, while volunteers can immediately indicate whether or not they will be able to attend the incident, thereby quickly giving the control centre an idea of the number of personnel available, so that they can either press ahead or re-alert in the hope of obtaining more first responders. This process shortens the response time and simplifies resource planning compared to traditional one-way paging. In autumn 2013, Airbus presented the world's first P8GR to the public. This was followed by the granting of a certification from the Hessian Ministry of the Interior and Sport in 2015, indicating that the device fully meets all the interoperability and safety requirements that the German Federal Agency for Public Safety Digital Radio (BDBOS). In addition, a successful field and functional test with all fire departments in Hesse using 1,000 pagers was performed. "The P8GR project in Hesse is a success from the outset because everyone involved has pulled together. The state government has laid the foundations and Airbus has been able to fulfill the wishes of the Hessian authorities and organisations with security tasks," says Markus Kolland, head of sales & program delivery for Northern, Central and Eastern Europe for Secure Land Communications at Airbus. "This project is not only a milestone but unique. We hope that it will be a role model, so that people in danger can be saved even faster. "